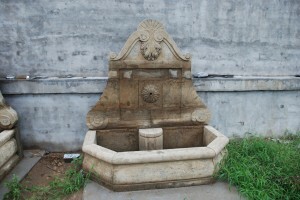 Carved stone self contained fountain. The quality and detail is fantastic. It has simple elegance to enhance your garden.